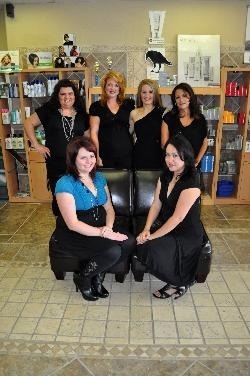 At Artistic Image Salon and Day Spa, our hair services can be a simple trim or a sophisticated or sassy cut. We can suggest a number of custom color techniques, high-lites, low-lites and color correction solutions. For an innovative look, consult with one of our hairstylists today to create your own look. Ask about Deve Curl Products and Services. Please go to mydevecurl.com for more information. *(this treatment is not recommended for women who are pregnant). Think of it as... a facial for the scalp. It dissolves away the effects of aging to restore the scalp and help to produce healthy hair. It immediately opens the hair follicles sites and increase cellular turnover by over 26% with a progressive increase in collagen production in the skin. It adds density and strength to the hair. Also 9 out of 10 people who use Nioxin 3-part system notice... an increase in hair density, a thickening effect and better moisture control. Indeed, Indian women often use oil to keep their hair strong, lustrous and in a healthy condition. The Indian Champissage relaxes and calms the body, mind and soul. The benefits of the Indian Champissage with aromatherapy oils can soften the skin of the scalp and promote healthier, thicker, and stronger hair growth. 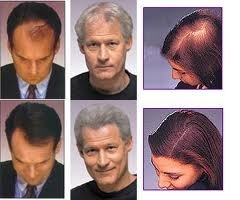 With this treatment you will notice less hair loss and create vibrant shiny hair. MLD is a gentle rhythmic technique which has precise systematic movements that stimulate and increase the normal function of the lymphantic system. This treatment will cleanse and drain the toxins from the tissues to promote healthy connective tissue. It will increase the immune response also sedating the sympathetic nervous system and relieves pain. MLD will benefit healthier hair growth, hair follicles will be stimulated, and the scalp will be looser, help relieve migraine headaches, sinus problems, and much more.